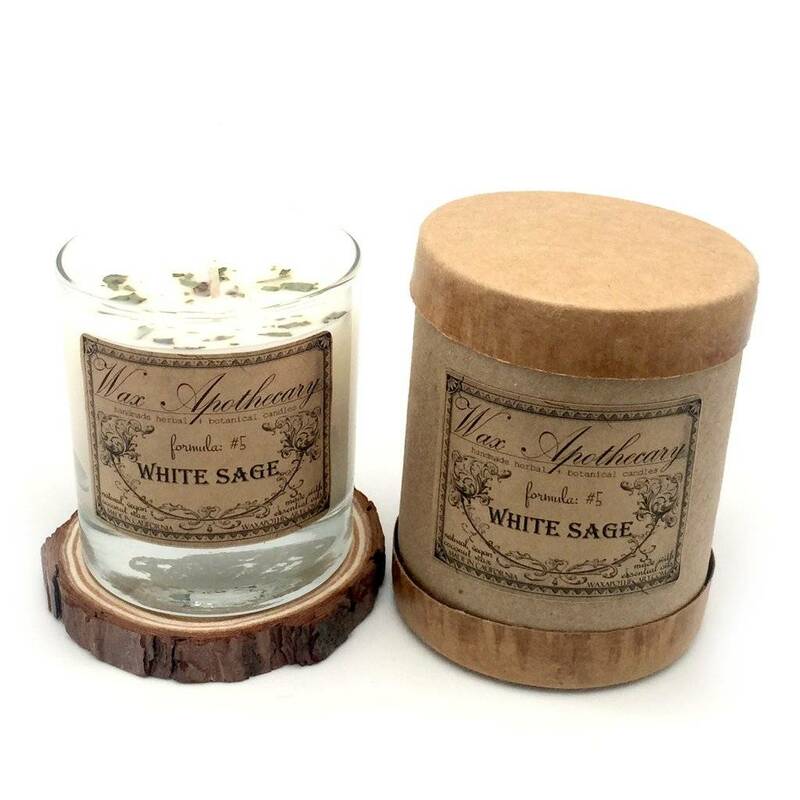 Wax Apothecary artisan candles are handmade on-site in their own solar powered studio in Southern California, U.S.A.
Local ingredients are used whenever possible in creating all of our natural handmade herbal and botanical candles. 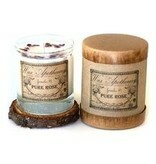 Wax Apothecary wax is purely plant based & does not contain any chemicals or additives. 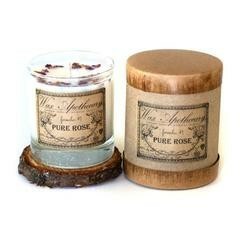 Every candle has a lead-free cotton wick and is perfumed with genuine, natural essential oil(s) and essential oil blends. Each candle is handmade using artisan methods to infuse the wax with the natural oils and blend in dried flora to create Wax Apothecary's authentic botanical & herbal fragrances. 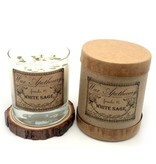 The candles are formulated with therapeutic benefits in mind. 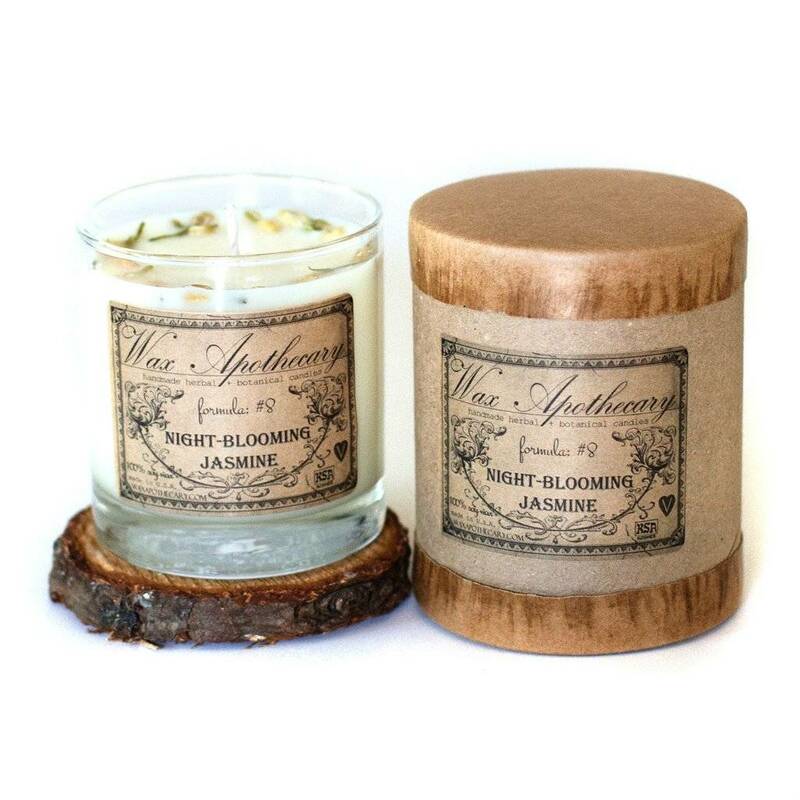 The aroma of the night blooming jasmine botanical will fill your home with the scent of fresh jasmine flowers. 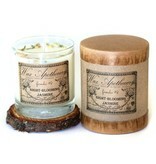 Aromatherapy benefits: calming, relaxing, sensual, romantic. The aroma of fresh roses will fill your home with the lovely scent of roses. Aromatherapy benefits: Antidepressant, anti-inflammatory, calms nervous tension. Powerful, pungent, and camphorous, white sage is a ceremonial herb used to clear negative energy and to attract positive energy. Aromatherapy benefits: cleansing and purifying, tone or strengthen the body and mind with an overall cooling effect. 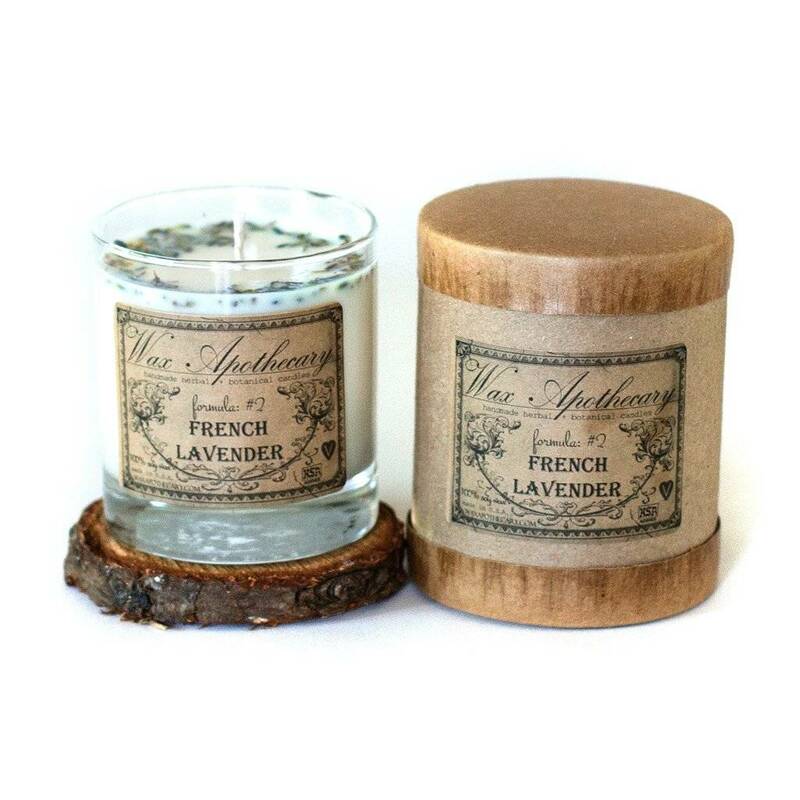 The aroma of french lavender botanical fragrance will fill your home with the lovely scent of fresh lavender. 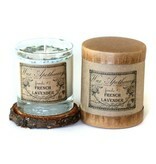 Aromatherapy: lavender calms the mind, eases stress and tension and relaxes the body.